The Monastery of Solitude (Monasterio de La Soledad) is a Benedictine Cloister in the hinterlands surrounding San Miguel. Here eleven men live a life dedicated to constant prayer and reflection since 1990. 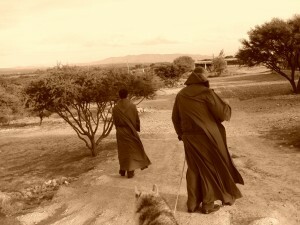 The monks are an order of Saint Benedict, whose feast day is July 11th. He is the patron saint of students. Along with his twin sister, Saint Scholastica, they established the spiritual and administrative rules for monasteries in the first century that are still in use today, including here in San Miguel. The siblings later died days apart. Saint Benedict is more popularly remembered for his medal which is widely seen worn in San Miguel and throughout Mexico. According to tradition, this medal is very powerful as protection against evil, and the devil, in particular. The medal contains symbols and text related to the life of Saint Benedict plus acronyms for prayers in Latin that provide for a favorable life. 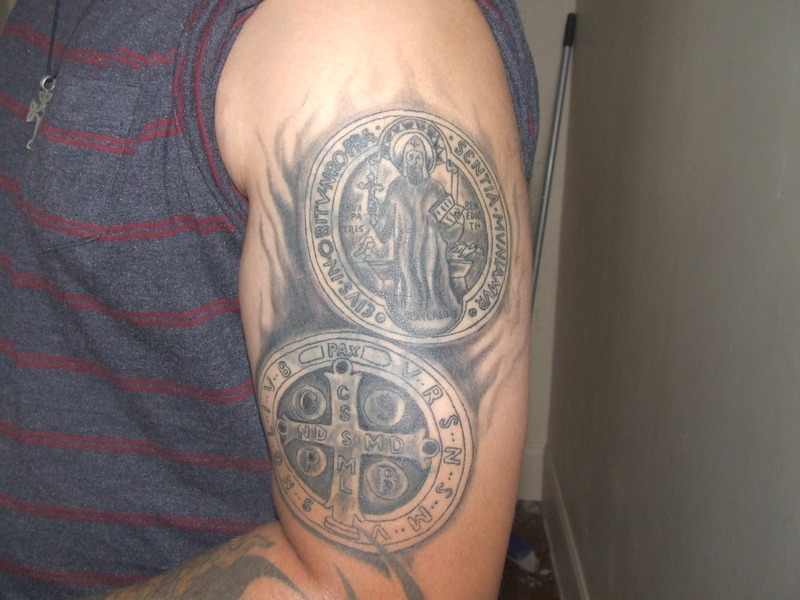 The medal is often carried as part of the rosary, and it is also found worn individually or as a tattoo. You can visit the monastery during set hours, normally on Sunday after 9AM mass when St. Benedict medals can be blessed (and purchased). St. Benedict set each hour of the day with a purpose allowing followers time for breaks and rest alongside work and prayer. Followers of St. Benedict are dedicated to building a silent interior receptive to God’s word. Not that the lifestyle is for all. Even followers of St. Benedict tried to poison him (twice) convincing Benedict to momentarily return to a hermitage.